I have an update to share with you regarding AMICAL’s web site — but I know it’s the middle of summer, and you’re reading this from your beach chair with eyes half-closed, so I’ll keep it short. Over the last few years, the internet termites have been slowly eating away at the structure of AMICAL’s web site. The old and weathered Drupal and PHP that held up our site were getting close to crumbling. 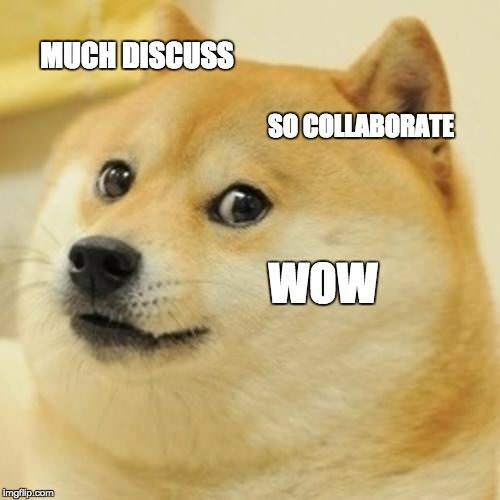 At the same time, AMICAL has been making exciting plans for new programs supporting digital humanities, digital pedagogies, digital collections, and a more effective interinstitutional collaboration network for staff and faculty. Details about these initiatives will be shared in September, but all of them require us to rethink and redevelop AMICAL’s web site and platforms for communications, collaboration and content. Although this is just an initial step in redesigning our web resources, we are proud to launch today a new public web site at http://www.amicalnet.org. Alex Armstrong, who also created the 2014 and 2015 conference websites, is building the new site on a content management system (Statamic) that emphasizes flexible content and speedy development. The site has a fresh new look and feel. And although this is just a transitional website — a starting point for new web resources to be developed over the coming year — we’ve incorporated a few new features that we’d like to highlight here. 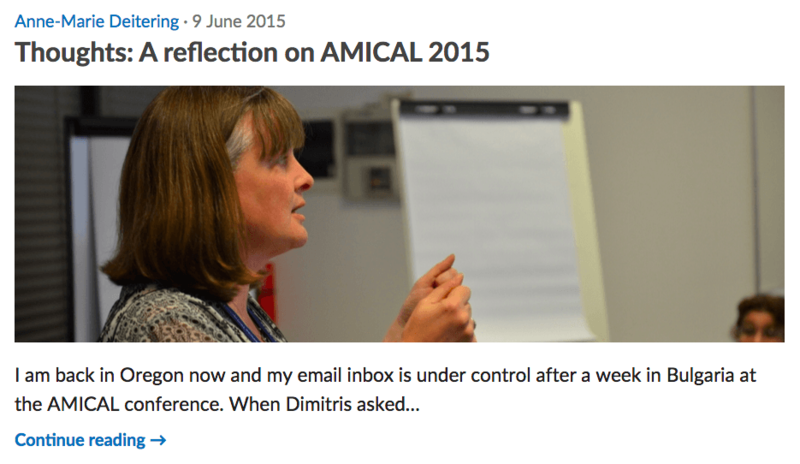 First, we’ve launched the AMICAL blog! You’ll find here news & commentary on AMICAL’s projects and activities, including announcements from AMICAL staff but also articles and photos by members and invited colleagues. Use the Share buttons at the bottom of each post to help us raise awareness about AMICAL. Subscribe to the RSS feed to stay in the loop. Under Community, we’ve grouped together all of the active AMICAL communication platforms and media channels. There are many ways to connect with your AMICAL colleagues; use this page to discover a few you didn’t know about! Do tell us which platforms you prefer, as we’ll be consolidating our communications over the coming year. On our old site, many of our ongoing consortial activities were nowhere to be found, but most major activities are now listed under Programs & initiatives. To give you a basic way to contact committees, we’ve listed their members and linked to the committee contacts posted on AMICALconnect. Future plans. We’ll be expanding all of the site’s content in the fall. The main piece of existing content not yet available on the new site is the archive of presentations from previous AMICAL conferences. We’ll be creating a new home for those over the coming months, so hang tight! In the meantime, if you’re looking for presentation slides from a previous conference, just ask us, and if we have a copy, we’ll send it. The best thing about the new site is that it’s not collapsing. The next best thing is that it’s a solid first step toward a more robust set of tools for connecting with AMICAL colleagues online. Everything new starts with a few rough spots, though, so if you notice anything wrong with the site, or have a request to include specific content or features, don’t hesitate to let us know.